I must admit, when it comes to pans I find the cheapest ones at Walmart and I wonder why they don't last long. 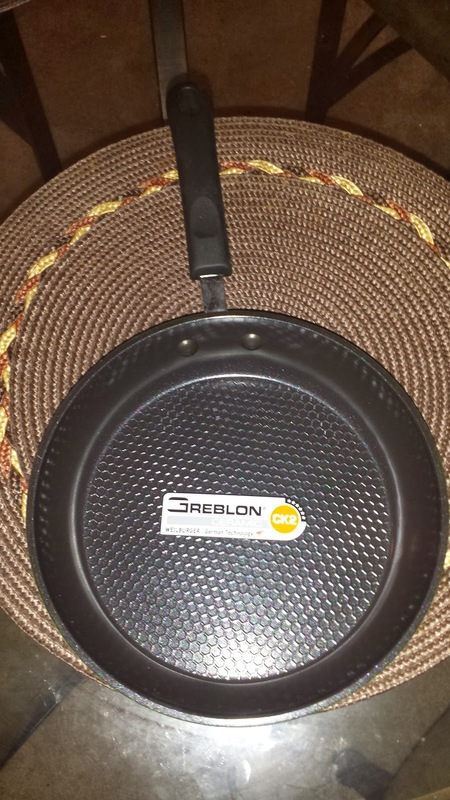 Those pans gets scratched up easily, start to peel in my food, and my food always sticks to the pan! Like the saying goes, "you get what you pay for!" 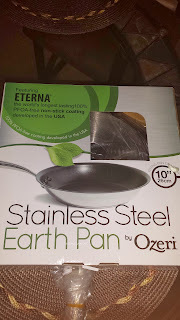 I'm happy that Ozeri gave me two complimentary pans free to try out and review. 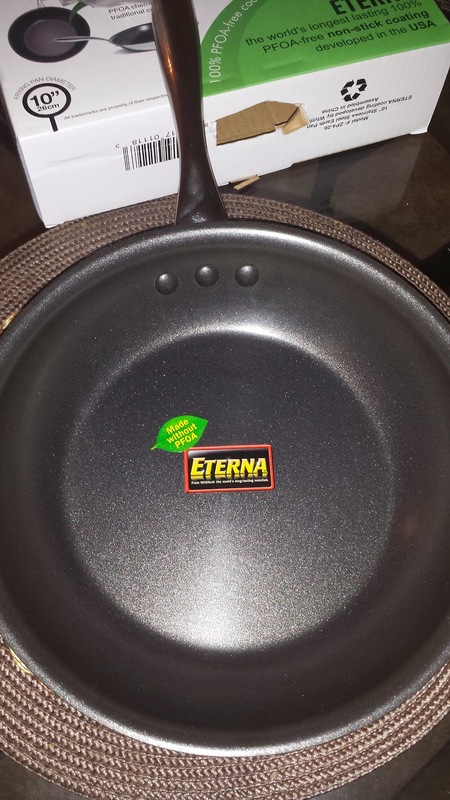 When I told my boyfriend about it he couldn't wait to start cooking with these pans! 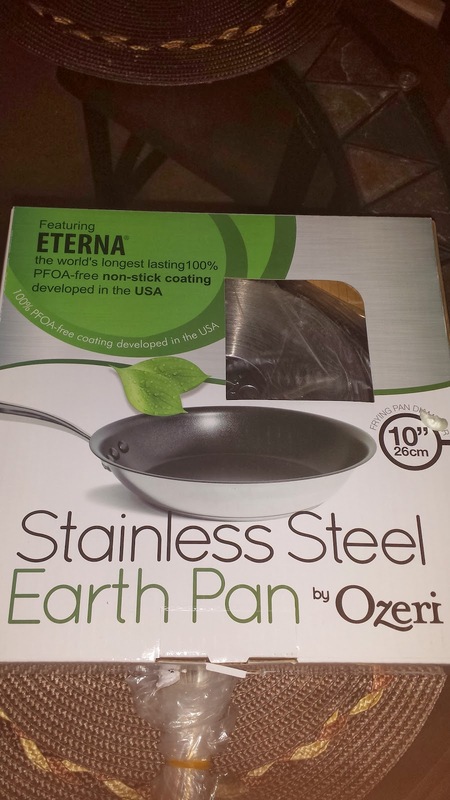 The 10' frying pan I received is stainless steel which features Eterna (world's longest lasting 100% PFOA-free non-stick coating that was developed in the US. Both pans are heavy duty and sturdy. I can tell just by looking at the pans that they're great quality. For dinner tonight, my boyfriend used the pans to cook stir fry. The pans heats up really quickly without burning the food and the food just glides around the pan with ease, no sticking what so ever! My dinner came out great and my steak was cooked throughly. I'm happy that I was able to try out these pans because it just shows I need to start buying good quality products. I can't wait to do more cooking with these pans! 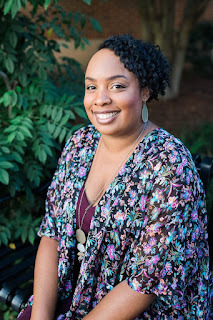 I'm really starting to like Ozeri's products! 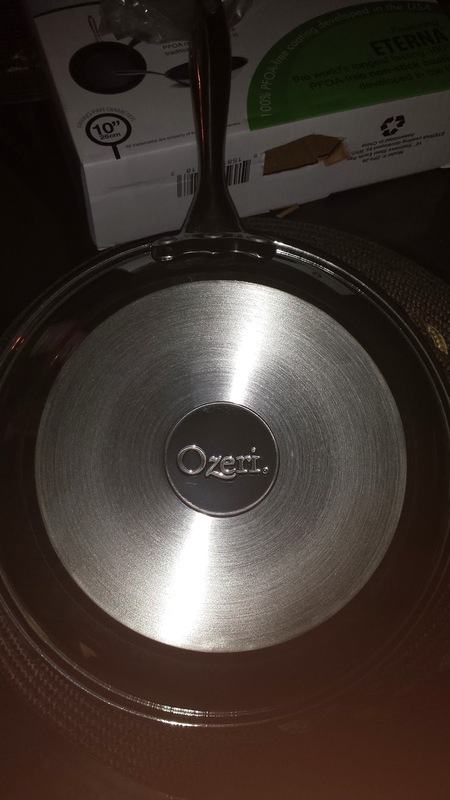 Is Ozeri Non-Stick Pans Worth a Try? These pans are most definitely worth buying! It's true that your food will not stick to the pans and there is no need to buy sprays to help stop your foods from sticking. To quality, items must be purchase from Moderna Housewares on Amazon.com, and savings code MERRYXMS used upon checkout. Happy Shopping!